Feel free to stay extra nights. Explore the mysteries of tantric understanding, attitude and practice guided by Rahasya and advanced students of the Advait Tantra School. Chubby's Bush Camp offers guests the ultimate intimate, relaxing bush experience. it is located in a Malaria free environment and easily accessible from both Durban and Pietermaritzburg on good tar roads. Outside showers and bath in bush canopy. Luxury rondawels, fully equip. 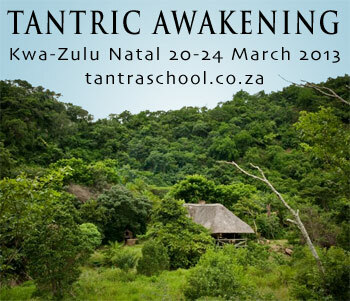 Cost and bookings Cost: R3300 includes facilitation, accommodation and meals.